NIBLEY CITY — Becky Yeager spends her summer days out in the yard hunting for monarch caterpillars. Once she finds them, she captures them, raises them in yogurt cups and eventually releases them as mature butterflies, so they can migrate to California beginning in the autumn. Yeager is known by her neighbors as the monarch queen. “I’m the crazy monarch lady,” she said. She said she does it to protect monarchs, which may soon be placed on the Endangered Species List. Since she and her family began raising the butterflies five years ago, she said she has noticed a decline in the number of monarch caterpillars she manages to catch each year. This year, she managed to capture only 35. Yeager is not the only butterfly activist in Nibley City. She says she was inspired to become more actively involved in the monarch movement five years ago when she read a newspaper column by Nibley neighbor Ron Hellstern, who wrote about the importance of catching and releasing monarch butterflies to improve their chances of survival. “We want to preserve these pretty flying flowers for next generations to see it and enjoy it and raise them in jars and let them go,” Hellstern said. Robert Stroud is a monarch butterfly expert. He says butterfly habitat is shrinking rapidly, mostly due to agricultural expansion. 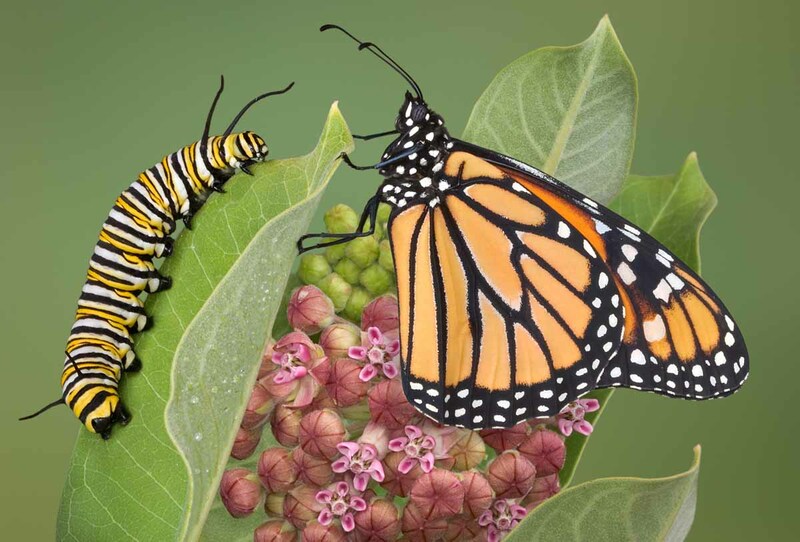 As farmland expands, it destroys milkweed, the only thing monarch caterpillars eat and where they build their chrysalises, in which they become butterflies. “The monarch is an icon and that icon is going through a problem right now,” Stroud said, a problem serious enough that the butterfly may be designated as endangered. During 2013-2014, the monarch butterfly population at the insects’ California wintering grounds dipped to 211,000 — the fewest on record, according to MonarchJointVenture.com, a website dedicated to tracking Monarch population trends. In 1997-1998, the California winter monarch population was 1.2 million, the group reports, but dropped to a low of 58,000 in 2009-2010. “Loss and degradation of both breeding and overwintering habitat, pesticide use, and drought — exacerbated by climate change — may all be contributing to this decline,” the website says. Yeager says it is essential that humans figure out what we are doing to our landscapes that cause us to lose monarch habitat, including avoiding using pesticides. 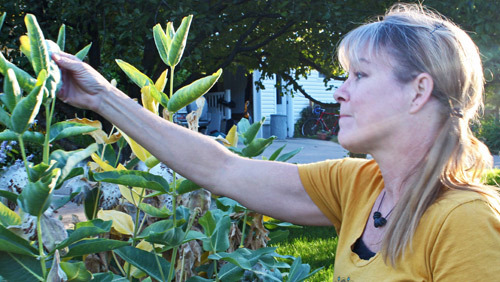 She said the 6-foot-tall milkweed in front of her house is her first line of defense when it comes to combating the monarchs’ decline. The plants are extremely precious to her, even though some people in her neighborhood see them as weeds. Hellstern said there is a lot of unnecessary stigma surrounding milkweed, because it has the word “weed” in it. 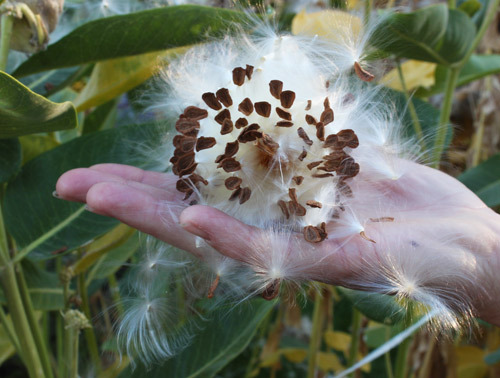 People think it will take over, because it is called a weed, but milkweed is really difficult to cultivate. Hellstern said some of the wings of the captured and released butterflies are marked with felt-tip Sharpies, so other monarch activists and researchers can more easily identify that those specific butterflies came from Utah. “We use a Utah marking pattern so that observers in California are looking for these single blue stripes for males and single red stripes for females, and they’ll know right away those came from Utah,” Hellstern said. Researchers and activists are coming together to track the butterfly migration patterns to California, where the Utah monarchs typically spend the winter, he said. Monarchs usually travel about 85 miles per day, Hellstern said. An early freeze can wipe them out, he said, but if it is good flying weather, they will make it to their winter resting destination on the Pacific Coast near Pismo Beach, California, — a trip of at least 900 miles. What a wonderful action by a warm and kind soul. Contrary to what some might think nature is alive and knowing about every little thing we do. Just by picking up trash from the streets you can help mother earth heal herself.